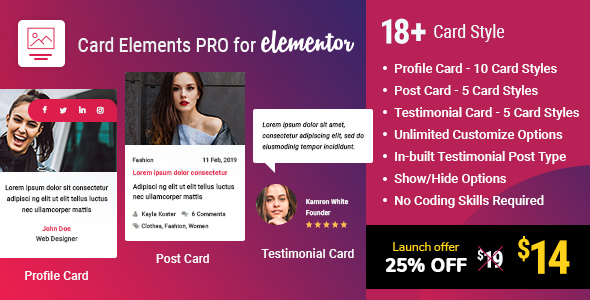 Card Elements Pro is an elementor add-on to showcase your team profiles (our team), testimonials (your client’s reviews) and WordPress posts with multiple ways and unique card style/design. This is an simple and flexible way to add new elements/widgets to Elementor Page Builder. - Inital release on Techeshta.com. Enjoy!